Available at our Livernois Store Location - (313) 345-0884. 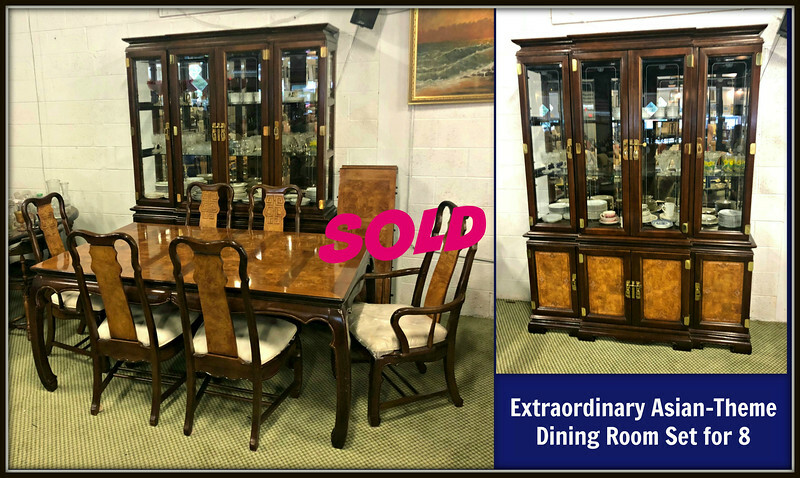 Extraordinary Asian Theme Dining Room Set for 8. Only 6 chairs shown in the picture, but 8 are available and all are in excellent condition.